We think also about our youngest friends in our resort. 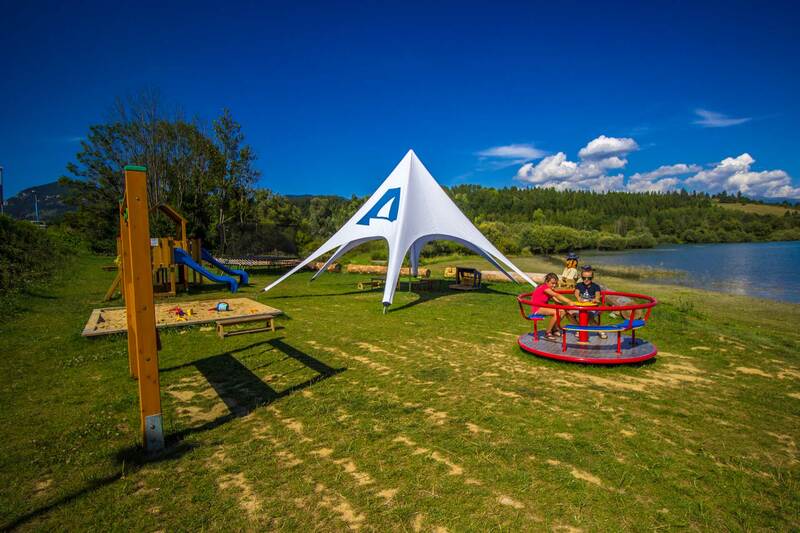 Except of trying bicycles or having a new boat and water experiences, they can enjoy their free time in our modern outdoor playground where they get from awesome memories and new friends. 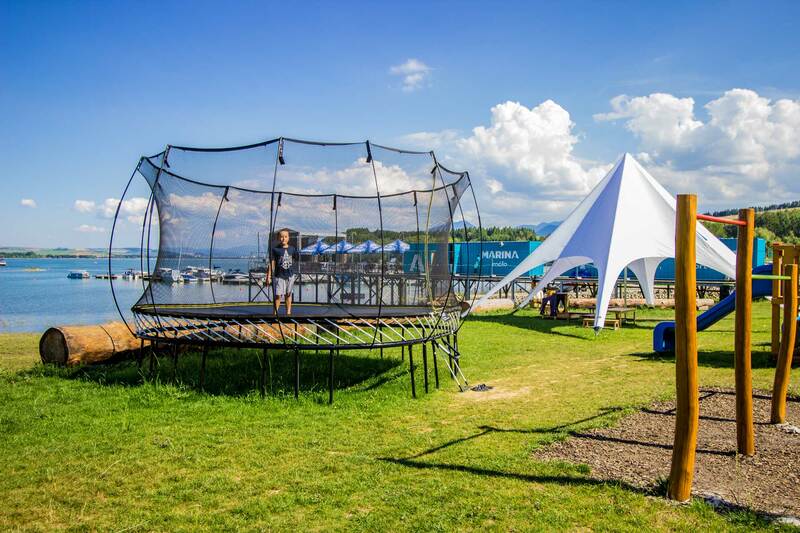 Children can jump on the biggest trampoline in Bobrovník that has bouncy surface of 4.9 m². They will definitely enjoy pretty fast carousel, they can swing on super modern swings, climb the ropes, slip on the slides. And of course, don’t forget to make them a picture with our wooden fairy figures. For a small relaxing time we have prepared for them mini versions of mini-sun beds with mini umbrella or dog shaped -bench. 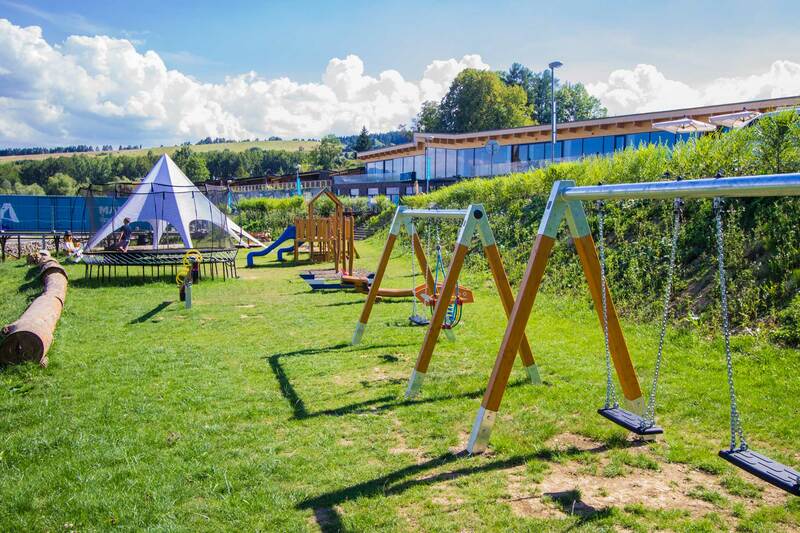 The biggest advantage of this garden playground is its location. It is located close to the pier, restaurant and also to water sport centre so parents, you can control your kids really easily and quietly enjoy your coffee on the terrace or in the grill bar while watching your happy playing children.